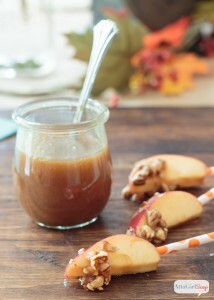 It’s fall, my favorite time of the year, and also my favorite time of the month when I get to guest post here at Made from Pinterest! 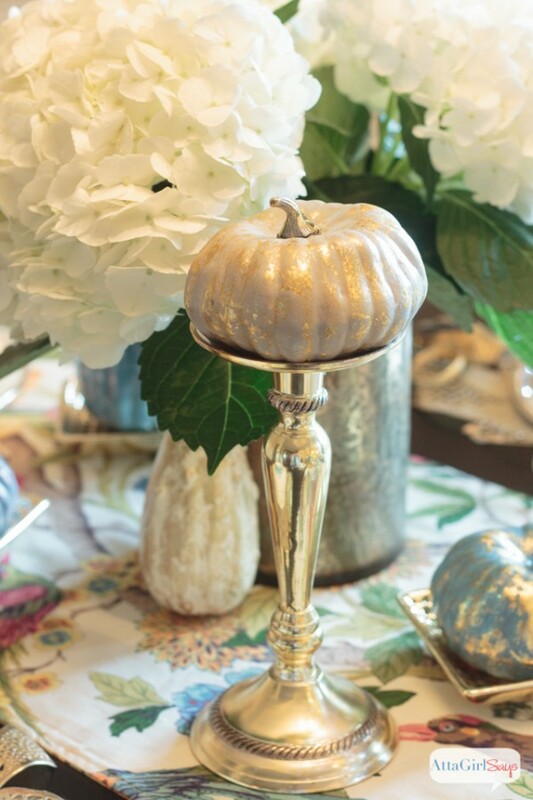 I’m Amy from Atta Girl Says, and today I have a gorgeous pumpkin project to share with you, Painted Metallic Foil Pumpkins. 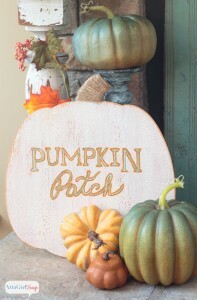 Now, I think pumpkins are gorgeous as they grow. But I am also of the opinion that everything looks better with a little shine! 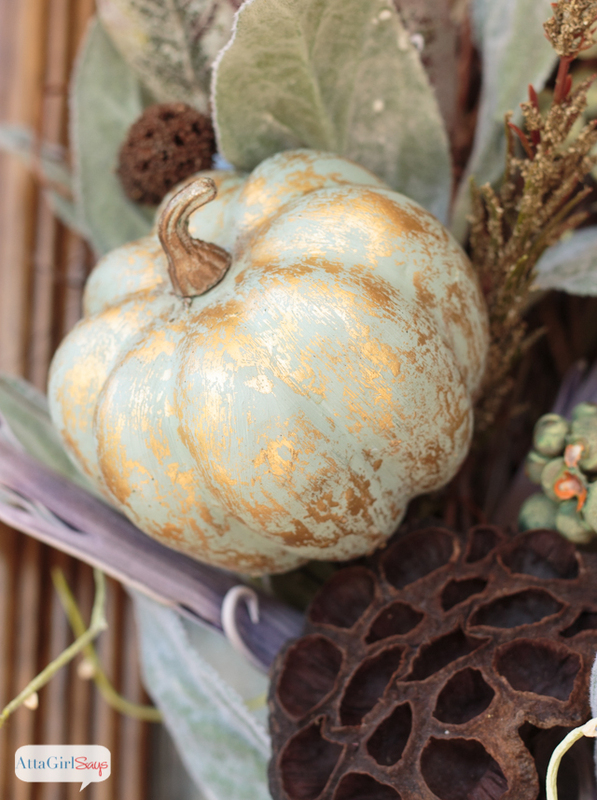 And since I’m all about using nontraditional colors in my fall decorating this year, I decided to paint some inexpensive foam pumpkins from the dollar store in shades of blue, aqua, purple and gray and embellish them with metallic foil. 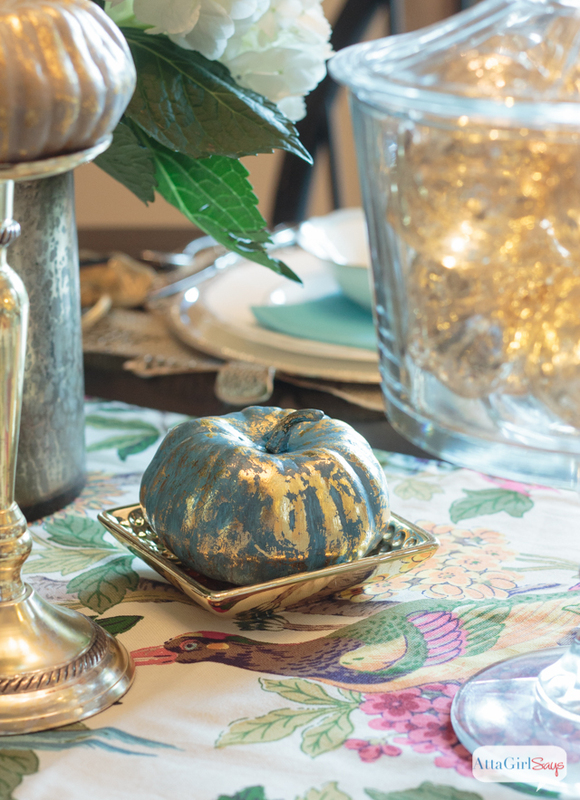 I’ve gilded before with gold leaf sheets that you find at the craft store, but this time around, I used the kind of metallic foil that decorative painters and faux finishers use. I bought mine from a local paint and home decor store, but you can also find it online from places like Royal Design Studio. I like using the foil because it’s easier to work with and comes in an array of finishes: antique gold, copper, bright gold, silver, bronze soft gold and even colors. I started out with some cheap foam pumpkins from the dollar store. I gave each one a couple coats of chalk paint until none of the original orange showed through. 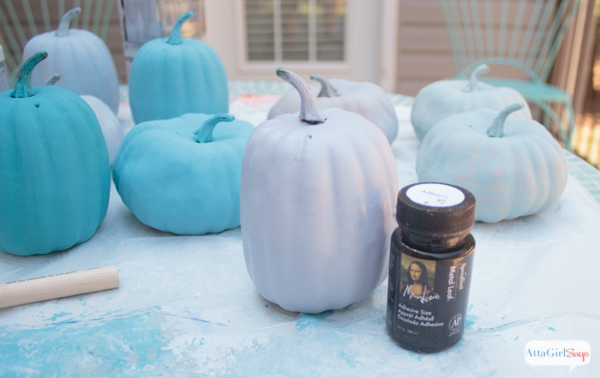 Next, I used a foam brush to coat each pumpkin with adhesive size. Allow that to dry until it’s tacky, or sticky. 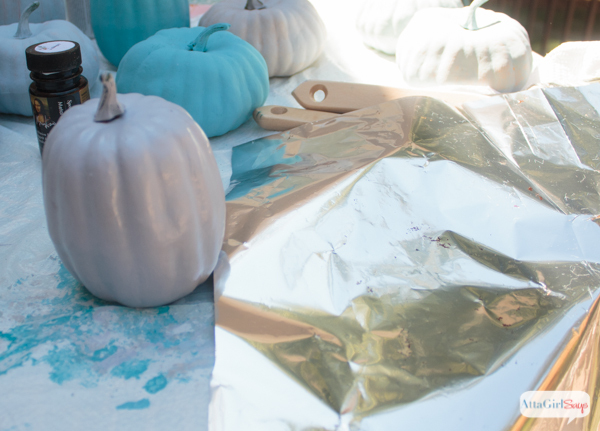 Then you want to take your metallic foil sheet, shiny side up, and press it on the sticky surface of the pumpkin. Like so. 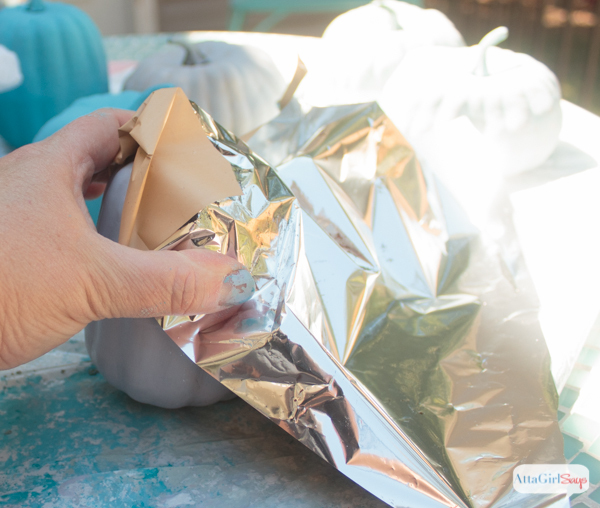 Press firmly to transfer the foil to the pumpkin, then peel off. Repeat all over the pumpkin. Your goal is a mottled effect, with some of the paint showing through. 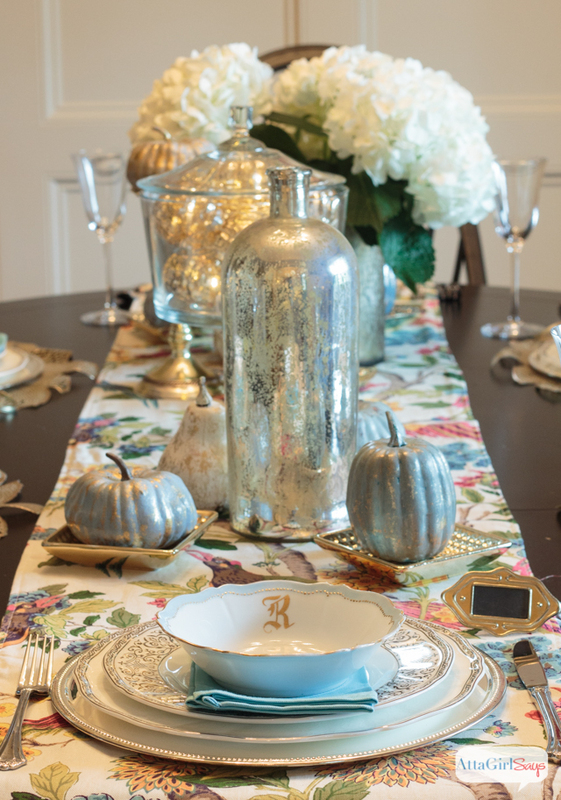 You can foil the stems, as well, or use a product like Rub’n’Buff was or DecoArt Metallic Lustre to coat them. 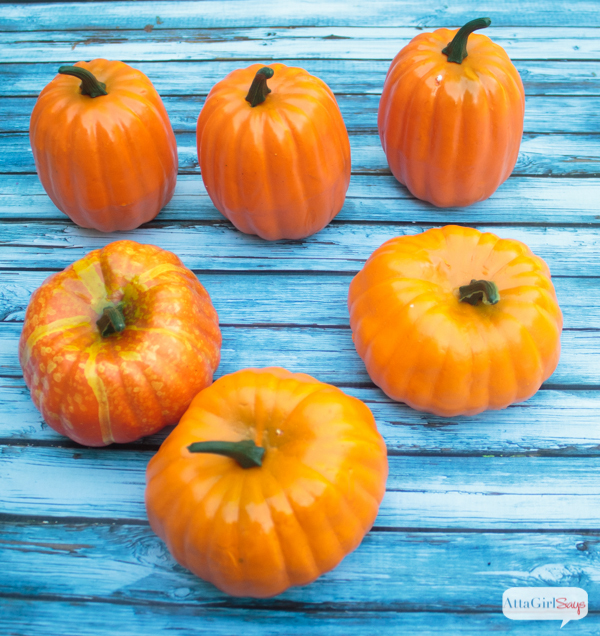 After you’ve applied the foil, the pumpkins will remain sticky with the adhesive size. Use a clear sealer or acrylic spray to seal them. 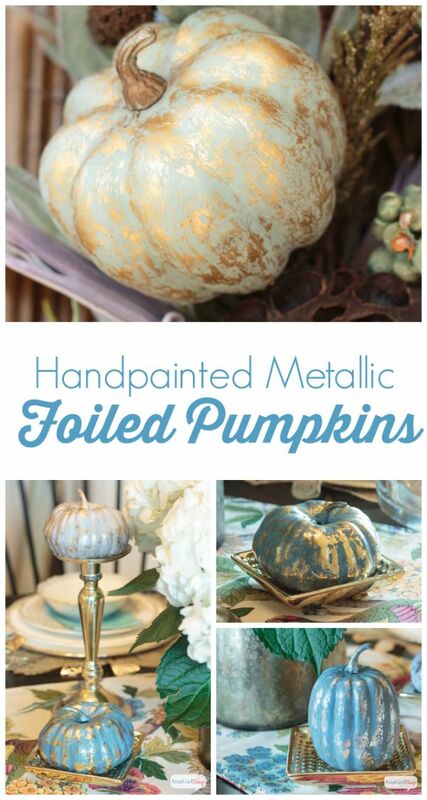 I’m kinda in love with these Painted Metallic Foil Pumpkins. 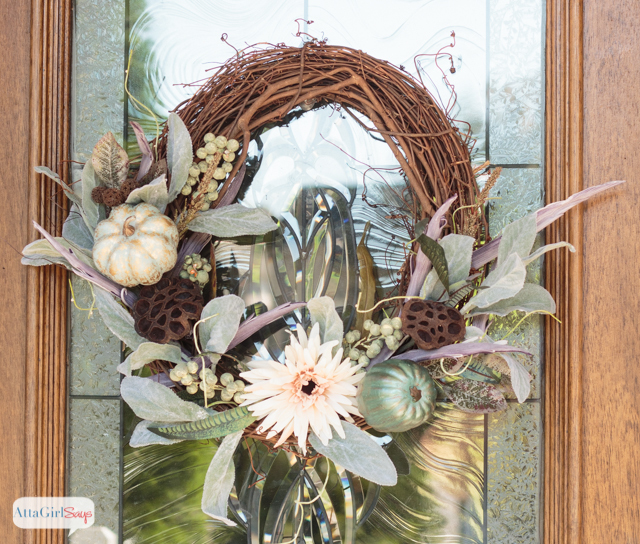 I’ve used them to make a fall wreath for my front door and also in our dining room table decorations. I’ll hope you’ll stop by Atta Girl Says for a visit. You never know what I’ll be up to! 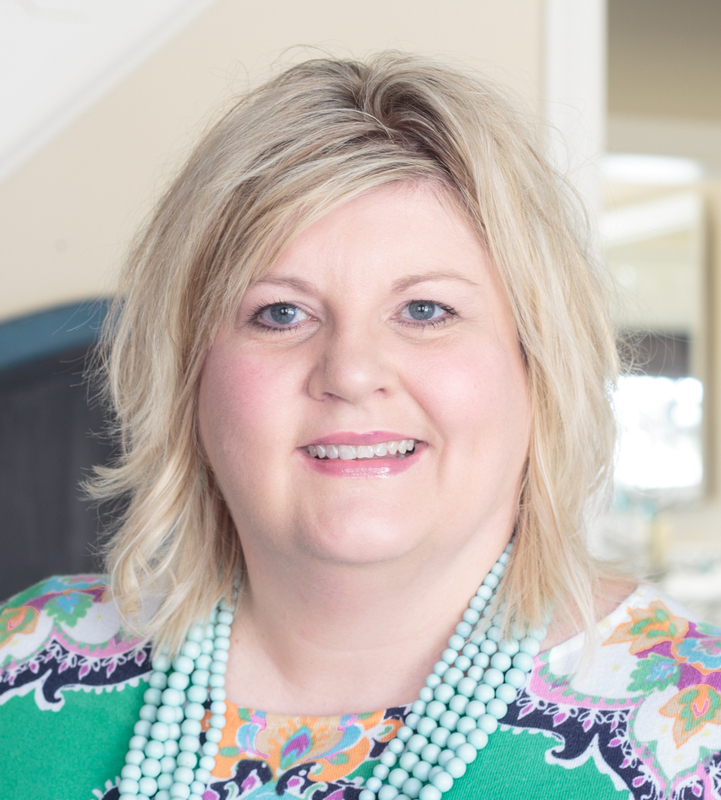 Crafting, cooking, decorating, painting furniture, entertaining — I do it all. 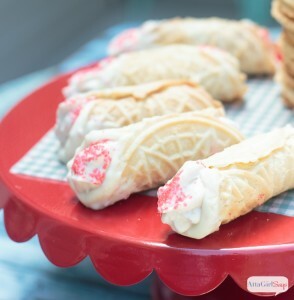 I’d also love to have you join me on Pinterest, Facebook, Twitter or Instagram.